The Tusa Freedom HD Scuba Diving Mask offers you an incredible field of vision thanks to its latest cutting edge technology designed to a be 180° rotational buckle mask. 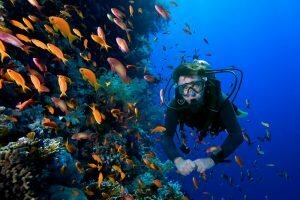 It will improve by a large margin your scuba diving adventures. 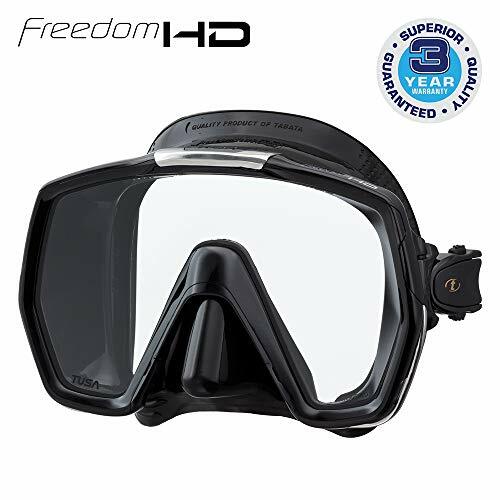 Released in 2016, this mask by Freedom Technology is a low profile, low volume single HD lens mask that improves your view underwater. The 180° rotational buckle system makes the best out of your underwater adventures and provides a better performance, comfort and fit. This mask is for scuba diving lovers who are going to appreciate the beautiful design and intricate features that this mask has to offer. Not only that but the scope for people to enjoy it widens when you take into consideration the low profile feature that allows for a better fit regardless of facial characteristics. If you have heavy facial features, however, then this mask might not be for you since it can cause itchiness when on and might also cause some minor leaking depending on the size and amount of the facial hair. 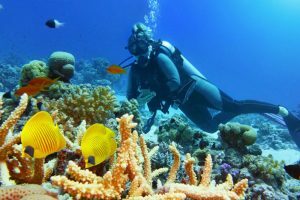 While scuba diving lovers might make the best out of all its features, it doesn’t mean that the mask is not beginner friendly. After all, it comes with a sophisticated design that allows everyone to make use of it regardless of experience. Once you get your order you should receive a package with the mask encased in a sturdy case and plastic wrapping around it. It doesn’t come with any extras or accessories unless you order them. It has a limited guarantee of 36 months. With a tempered single lens glass design and a patented 3D wide split strap, the M1001 mask offers a quality view. It has an easy and quick adjustable buckle system and it presents low volume and low profile for better comfort. It’s a compact and lightweight mask design that prides itself in being technologically advanced with a five-position strap angle adjustment, micro adjustment fine tuning, and a dimpled skirt surface with varied silicone thickness. It also presents a round edge skirt with a soft fit that suppresses pressure and reduces creases on the face with a planar fit instead of a linear one to avoid rings around the eyes after using it. It comes with an either black or clear silicone rubber mask skirt. The patented 3D wide split strap fits the natural curve on the head with no issues. As well as coming in multiple colors, it also offers an easy to reach one hand nose pocket for ear equalization that allows you to dive deeper without presenting any ear discomfort or pain. It provides stability ridges and the materials and frame construction as well as the design are all high quality. 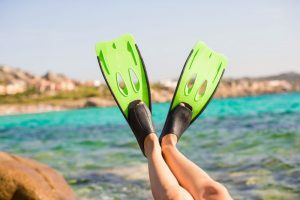 While it might look frameless, it isn’t, and on longer dive sessions the skirt under the nose might become shallow so any sudden movements might bring water up to your nose. 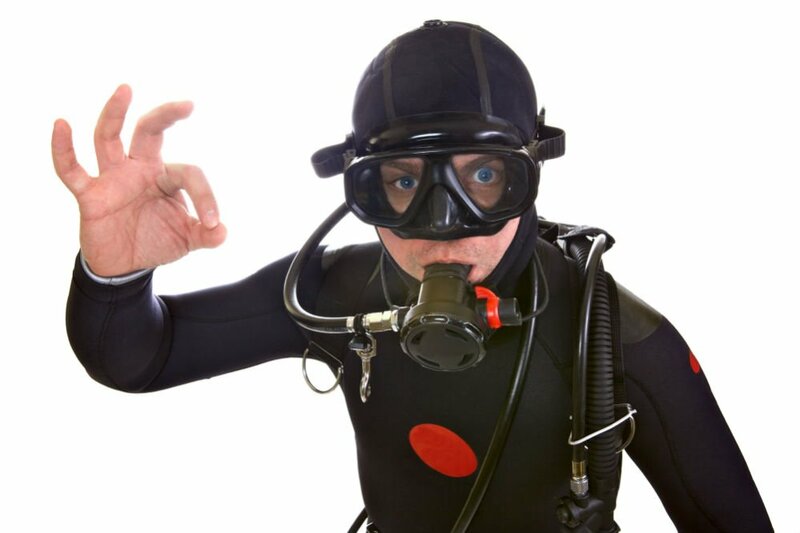 Put it on like any other diving mask. The design has folding so the rotation buckle system is great for a quick and easy adjustment before going to the water. By default the mask is wide enough to cover the corners of the eye so there’s not much adjustment needed when trying on the mask. A bit of fogging might be an issue in some cases but it can be treated by putting a coat of tooth paste inside the mask. If you have facial hair, like a mustache for example, it’s better if you put Vaseline on it before putting the mask on to avoid any leaking. If you have a goatee then it’s best to trim it a bit. 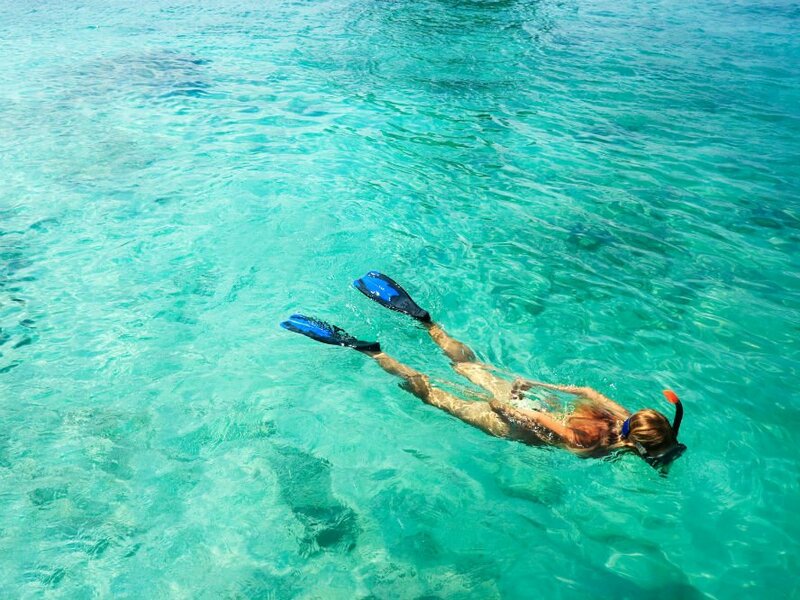 It’s recommended to buy the black skirt instead of the clear silicon one because the clear one doesn’t allow enough light in to get reflections of the glass when snorkeling. 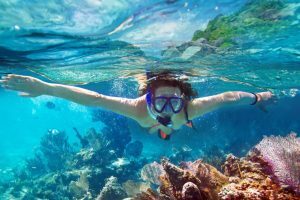 An alternative to the Tusa is mask is the Cressi Panoramic View Mask. 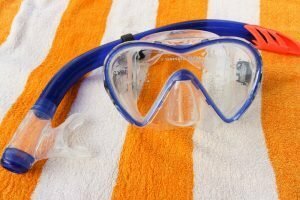 This is a dry snorkel set with lenses that precisely fit to the main lens to provide an interrupted field of view. It comes with a double feathered edge for a perfect seal and fit on the face and a quick adjustment ratcheting mask strap buckle. It has a split mask design for better comfort and it presents a soft and 100% high quality silicone rubber skirt. It has tempered glass lens and it provides a dry top to prevent any water from getting into the mask. 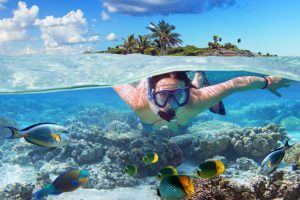 The Tusa M1001 FREEDOM HD Scuba Diving Mask is a mask that every scuba diver should try at least once. 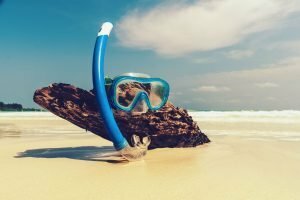 Despite some issues with facial hair, the mask does provide a great experience for underwater adventures and it can be enjoyed by both experienced divers and beginners alike.